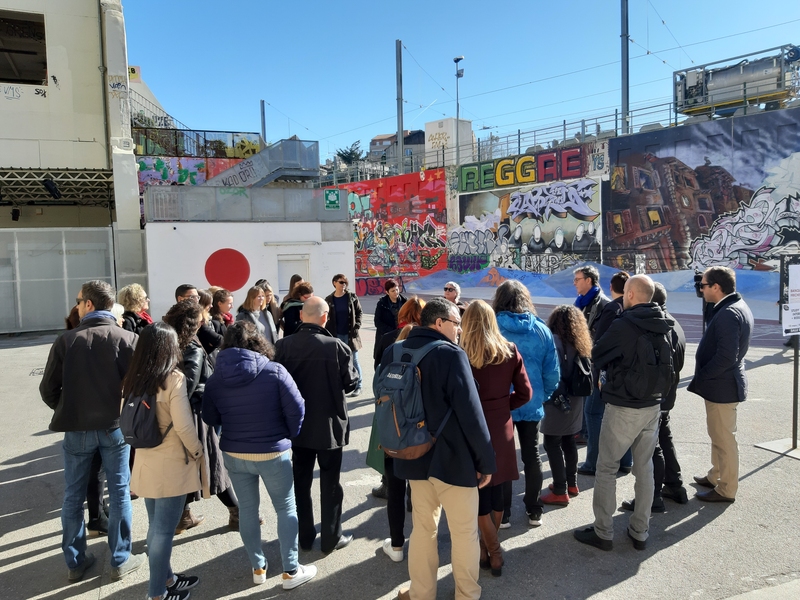 The fourth study visit of the +Resilient project was organised by Aix-Marseille University and the LEST (Institute of Labour Economics and Industrial Sociology). 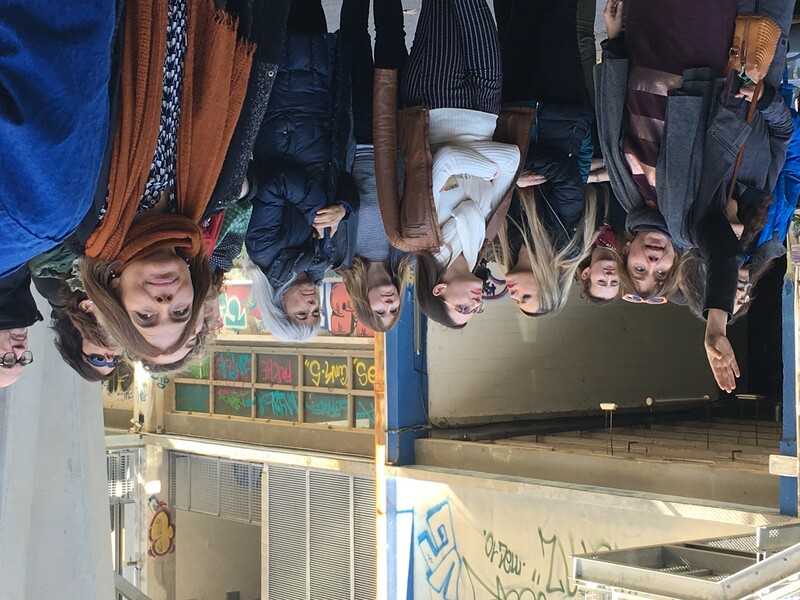 The visit took place in Marseille on the 12th and 13th of March. Over 20 representatives from 6 European countries and close to 20 local stakeholders participated in the event. 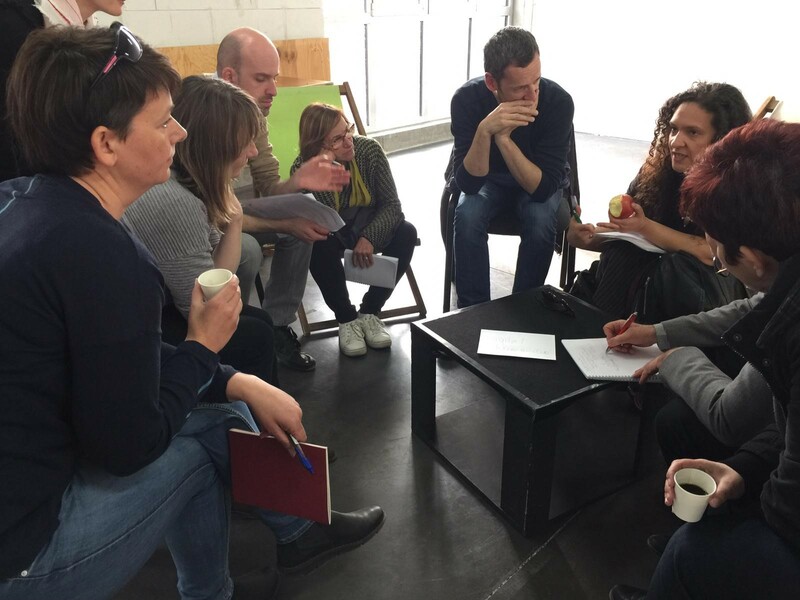 The first day of the visit took place in and around “La Friche la Belle de Mai”, more commonly known as “La Friche”. La Friche is an old tobacco factory that is today run by a collective interest cooperative whose mission consists of developing arts and culture in the deprived urban neighbourhood of “La Belle de Mai”. 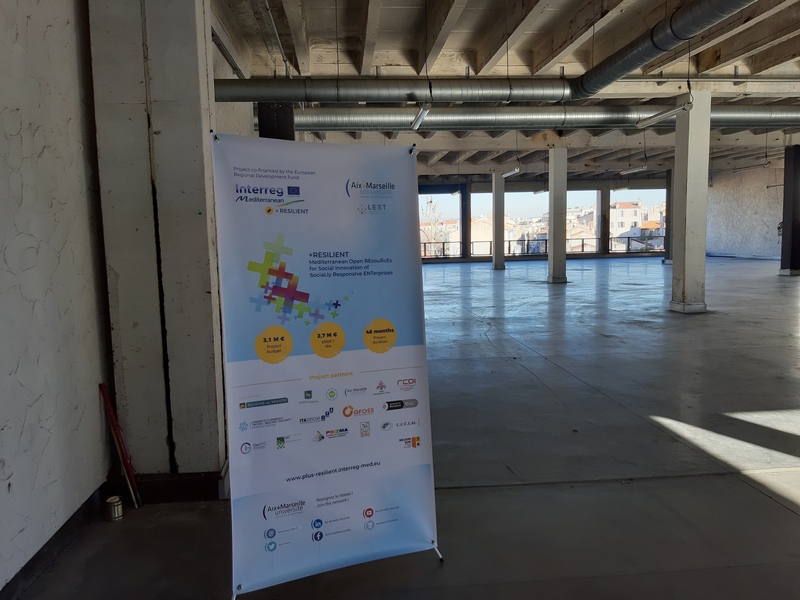 Presentations were made by local stakeholders from five different domains including digital humanities (against digital exclusion), fab-labs and makers spaces, urban spaces occupied and managed by citizens, home care services for dependent persons and social innovation incubators. These exchanges were followed by the visit of “Le Jardin Levat”, an old convent and its grounds which are now owned by the Marseille City Hall. 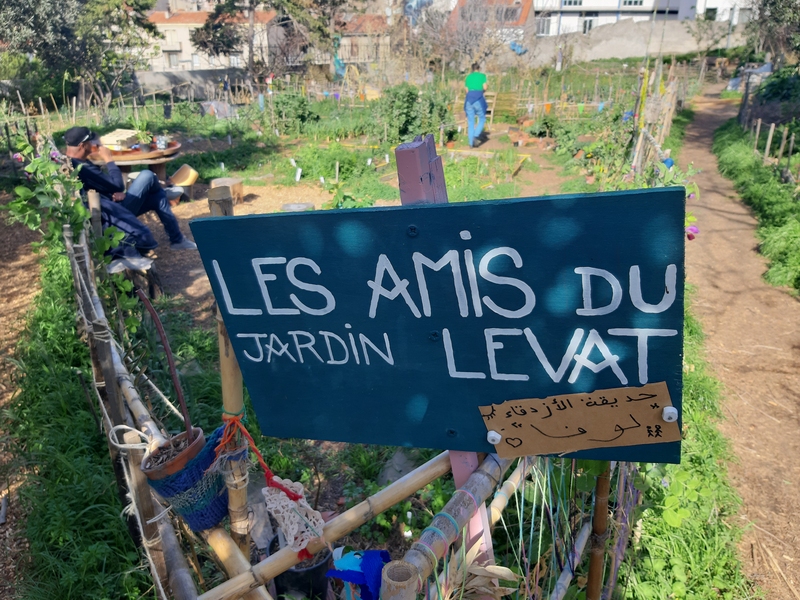 Le Jardin Levat is accessible to all and is a space that brings together different groups of collective actors and that the community of the neighbourhood of La Belle de Mai can enjoy freely. This first day was concluded by a session of pitching and speed networking between local and European stakeholders, which proved to be a great opportunity to learn about initiatives all across Europe. 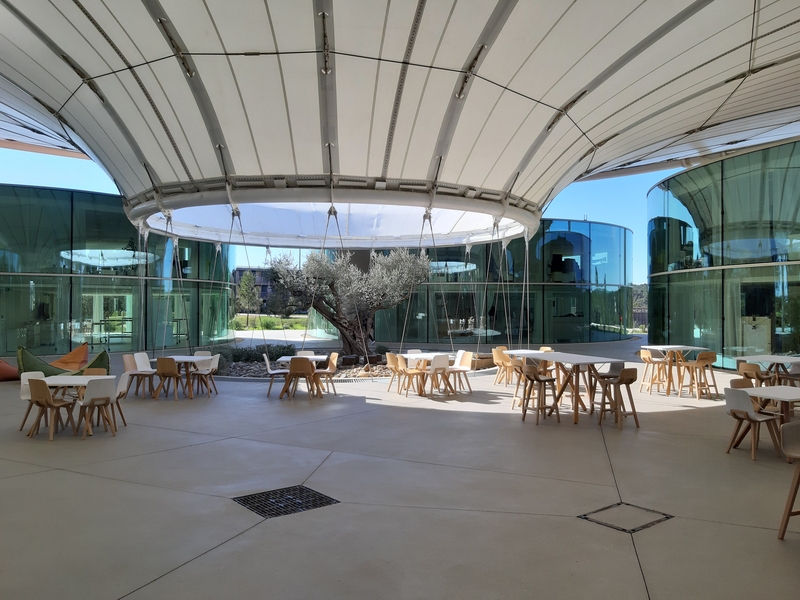 The second day begun at “The camp”, a one-year old cluster of private enterprises of societal responsiveness (in partnership with public institutions), that invests to support technologically-led innovations in order to address three major societal challenges for the future of the planet: energy, food and mobility. 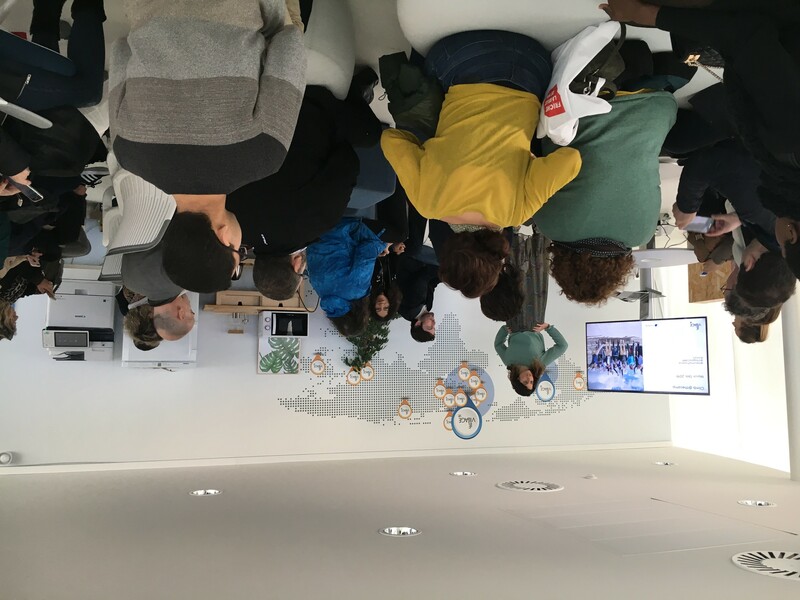 This visit enabled to show the participants another type of cluster and methods used to promote the link between social innovation and open resources. The visit of The Camp was the perfect transition into the afternoon session, held at the South Region offices and which was focused on open data. 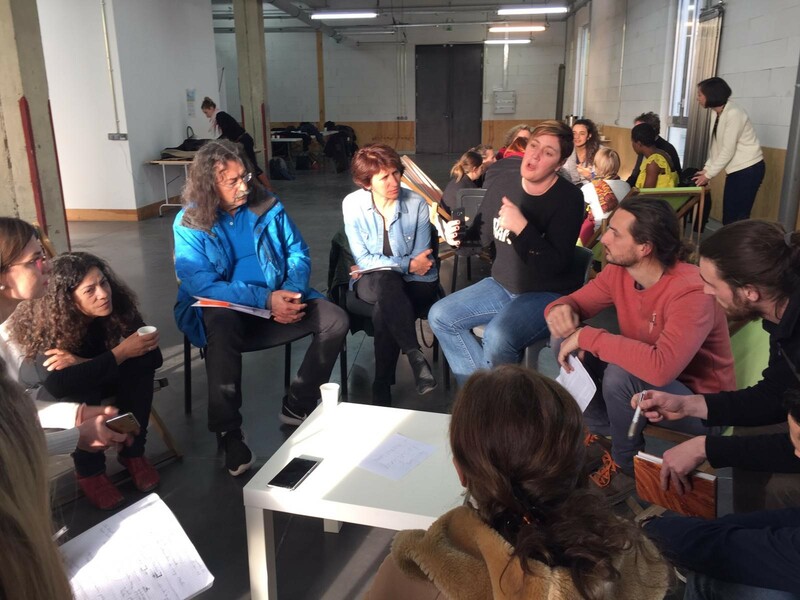 Several local actors presented their structures and initiatives that have managed to use open data for the means of social innovation.